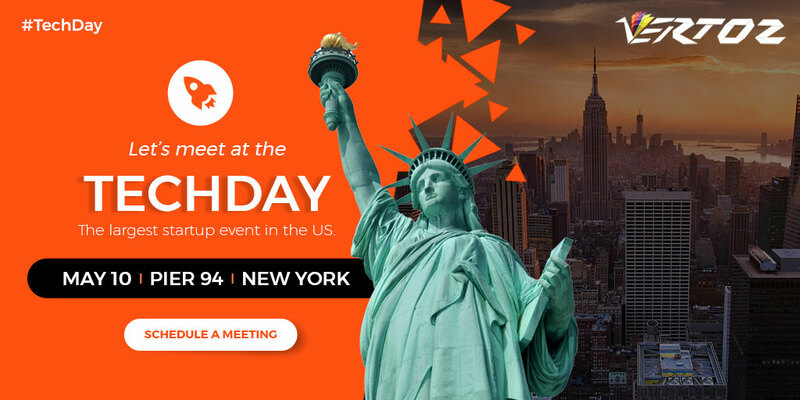 Join Vertoz at TechDay 2018 - The largest startup event in the US. We are happy to announce that Vertoz is exhibiting at TechDay 2018. Vertoz’s Ingenious Plex is a complete advertising and monetization suite. We bring to you the new face of advertising i.e. programmatic advertising, which employs the powers of new age technologies like AI and Machine Learning, Big Data, Cloud Computing, to mention a few. We help you connect with the right audience, at the right time and help your drive sales with our new and innovative approach. Meet us to experience the latest technologies and discover advertising revolution. Schedule a meeting with us now.